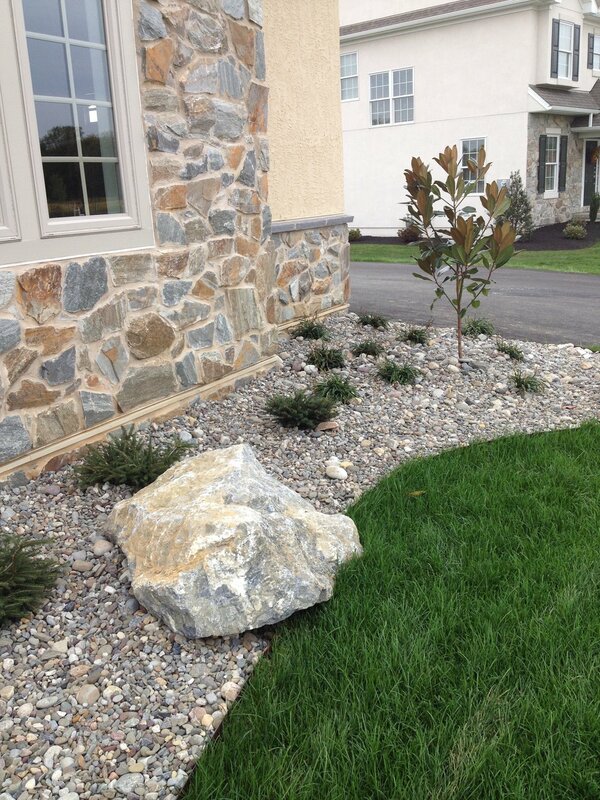 Fieldstone is aptly named: it’s a stone that naturally occurs in fields, near or at the surface. It comes in many colors and is sometimes cut or split for architectural use. Thin means pieces are under 1" to 2" thick and about 5" to 8" wide. 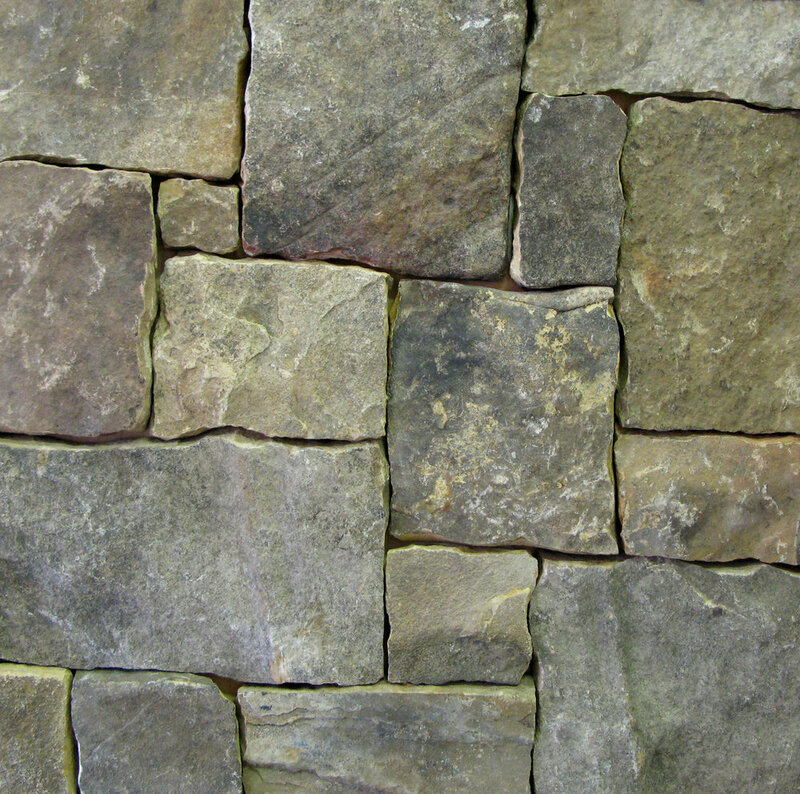 This product is used to stack (with or without mortar) to make stone walls. You'll need about 40 to 45 lbs of this material for each face square foot of stacked wall. So figure a wall 1 foot high and 10 feet long = 10 square feet x 40 to 45 lbs per square foot = 400 to 450 lbs. 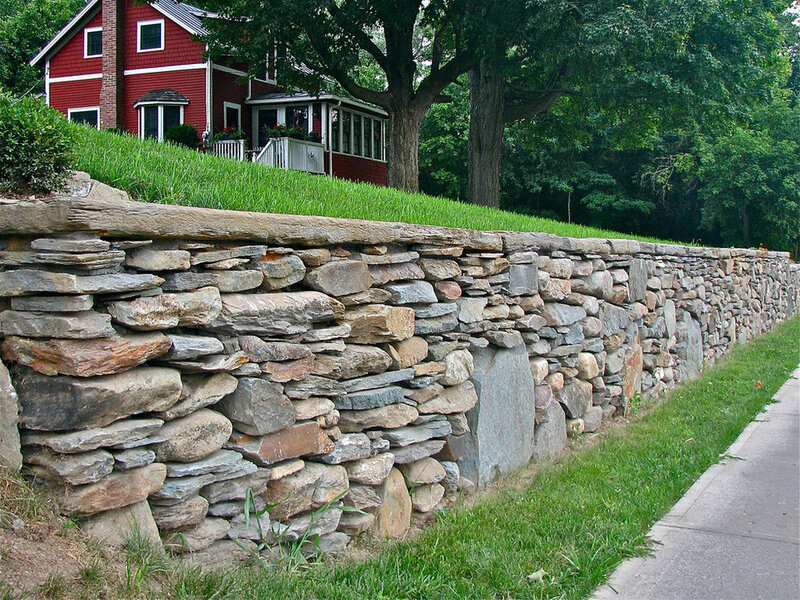 Fieldstone pieces that are approximately 2" to 4+" thick and typically used with Thin and Medium sizes when stacking large-scale walls (3 feet or higher). You should figure 45 to 50 lbs. of this material for each face square foot of stacked wall. Pieces of fieldstone that are 1" to 2" thick with sizes varying from a small dinner plate to a serving platter. This stone has a variety of uses; small paths, stepping-stones, coping for the edges of small ponds and facing walls in veneer applications. Pieces of fieldstone that are 2" to 4" thick with sizes varying from a small dinner plate to a serving platter diameter. This stone is normally used in ponds and water features but can also be used as stepping stones and low incline stair treads. 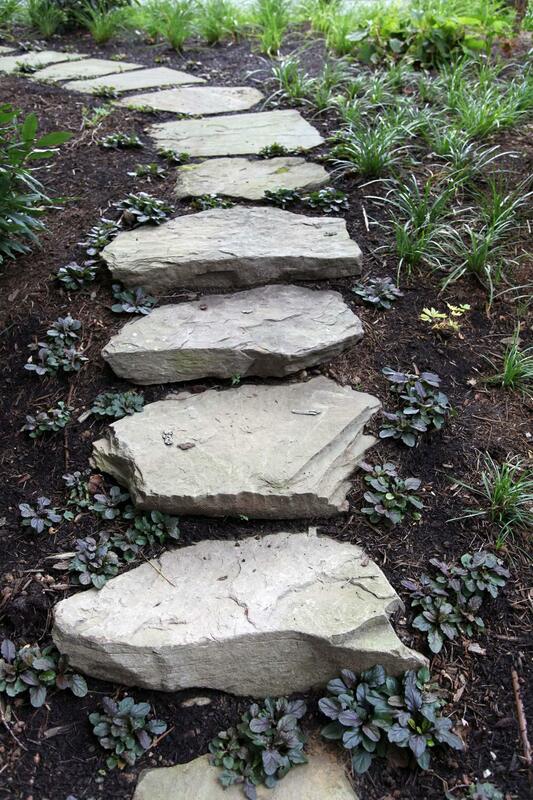 Stone that is rounded and smoothed by natural water erosion and tumbling action of the stone in streams. 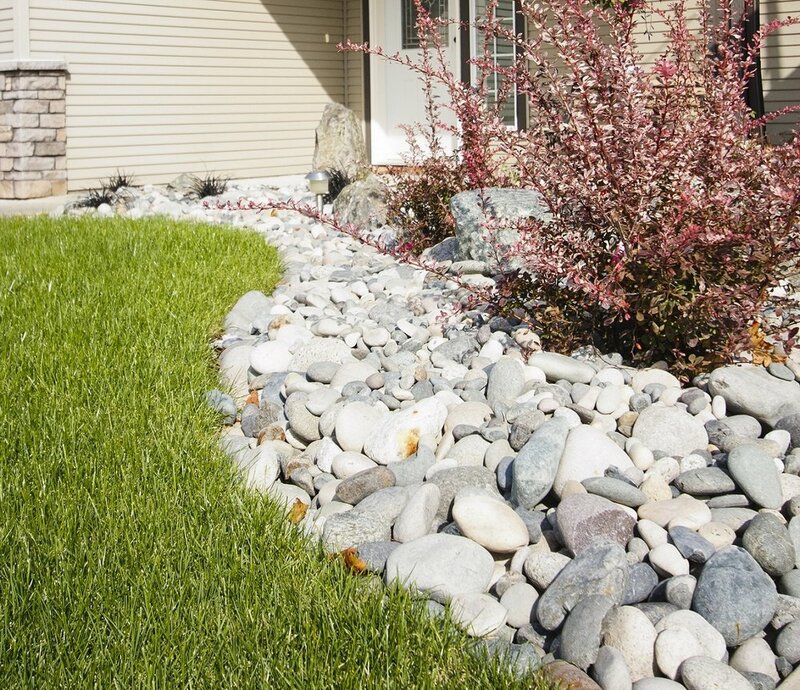 This stone is normally used in ponds and water features, rock gardens, as edging for plant beds and to create dry creek beds in yards. Stone that is removed from the mountainside and weathered by exposure to the elements. It comes in various sizes and is normally used in ponds and water features, rock gardens and as accent stones in the landscape. Big pieces of fieldstone that are 3" to 6" thick with sizes varying from a 2-feet to 3 and 4-feet in length. This stone is normally used around ponds and water features. They also make ideal splash stones for large scale water falls. Note: Fieldstone steps and ledgers are very heavy. The stones pictured range from 150 to 250 lbs., but larger ones can weigh between 300 to over 600 lbs each. These stones are dimensional pieces, meaning squares and rectangles of various different sizes. Ashlar Fieldstone ranges in thickness from 3"-5" thick and they are great for retaining walls, natural stepping stones, and arches over doors and windows. The stone mason’s favorite choice. This stone is the most affordable tack stone product while having excellent color. These are the “offs” from snapped fieldstone ashlar and already have square of side to them. They may require a small amount of rock work to shape and fit but the end result is a GREAT look! The basic difference between flagstone and fieldstone is that flagstone is quarried (comes from beneath the ground) and fieldstone is on top of the ground (or in the case of our Tennessee stone, it comes from the side of a mountain). This results in products that are different in color and texture.